Friday night and it’s date night in the city. I’m climbing the massive staircase of Ripley’s Aquarium of Canada next to the CN Tower and a Blue Jays game. It’s ok that I’m not on a date. I’m here for a photography conference but also to capture some sea life photography. The flirty mid-thirties couple ahead of me bought faulty tickets online from a fraudulent supplier, and were required to purchase additional tickets at the counter. “Unfortunately, these tickets are fraudulent,” the guy at the ticket counter mentions eyeing the printouts from the couples home printer. They were not impressed, but once inside surely had some moments. Once this was handled, I entered into the aquarium. Landlocked, like much of the world, it’s not practical to poke around the salty tide pools on my weekend or lunch breaks. As a scuba diver, ocean lover and snorkeler, I’m like a sponge for learning all the ocean things. 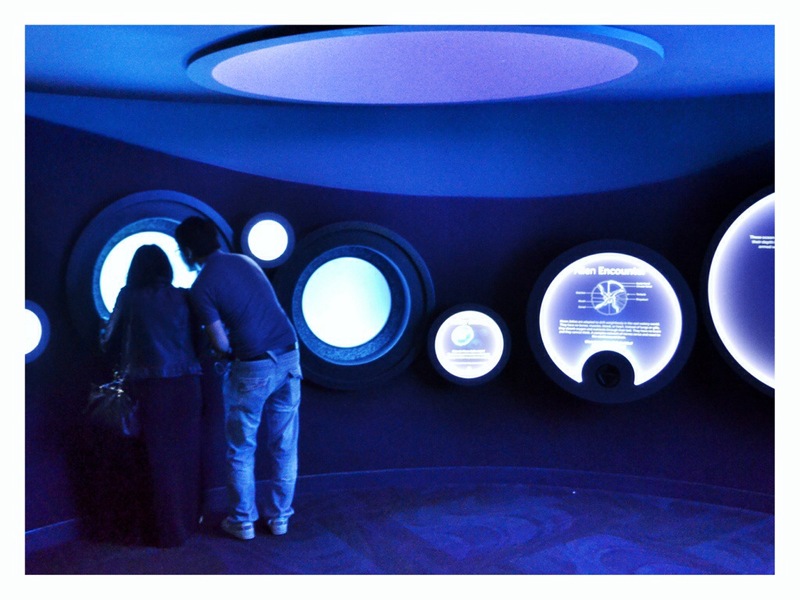 People have been re-creating the sea environment for years, and Ripley’s is at the forefront of innovation when it comes to visual design of aquarium spaces. As much as it’s nice to think that the free wild animals are the way that it should be, the fact of the matter is that there are so many problems out in the ocean that protection from the best marine biologists and aquarium specialists creates a different life altogether. We’ve now reached this technological sophistication that carefully re-creates environmental factors, and risk to the species are minimized. There isn’t an easy solution for those animal activists out there. Conservation initiatives that you read, watch on TV or explore on iPad apps are reinforced when you see the creatures in real life. 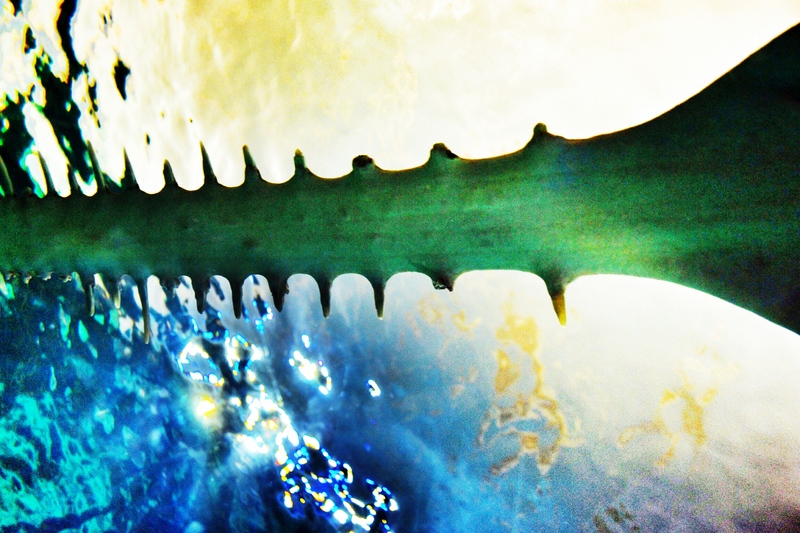 A green sawfish rested on the glass overpass as I pass under him by means of a long conveyer belt. This conveyor belt runs the length of a massive impressive multi-species tank. People around me are snapping selfies galore. These guys are endangered in the wild. The ampullae of lorenzini pores in their snout detect electrical signals like heartbeats. I wonder what they detect as the conveyor belt of people pass by underneath? Is he deciding what he thinks of each individual that passes under him just like the people judge each fish and creature by their pattern, look or swimming ability? Later, wrapping things up after viewing shark egg pods, hammerheads and many rays, I enter the final area where the horseshoe crabs are housed. Horseshoe crab blood is blue and is being studied for its properties and used in medicine. You can’t possibly read everything in one visit, but hopefully will learn a few new things. A sea turtle caught my eye poking around the gravel by a submarine- like viewing station, another endangered species. A photographically ideal shot of this guy was not possible, but for some reason he was a favourite. Watching him slowly scour the gravel looking for food made me decide that one day, I will do something for the sea turtles. My next mission…!